Our line of skid steer attachments are built in the USA by skilled iron workers and are constructed to the highest standards. 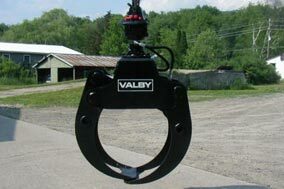 Whether you're looking for an attachment for your skid steer, farm tractor, or loader, Hammerhead attachments has you covered. We understand that these are the tools that you use in your business and it's our goal to give you the right tool for your job! 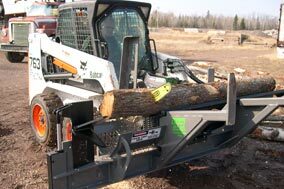 From our log grapple saws to our line of skid steer firewood processors, we have solutions to your log processing needs. We have discontinued sales of the HWP-130 & HWP-140 firewood processors, but stay tuned as we are finalizing designs for a new and improved firewood processor, which we plan to bring to market by late 2018 or early 2019. 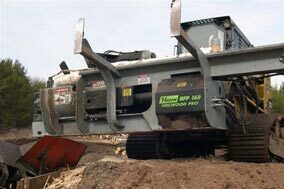 The SSP-150 Processor is a great machine for a farm/ranch, work shop, or commercial firewood producers & comes standard with a hydraulically adjustable 4-way splitting wedge. 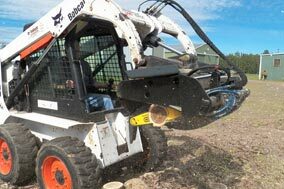 ​The SSP-160 Pro Skid Steer Firewood Processor is our professional series processor and is designed for high production commercial firewood operations. ​The GS-42 Grapple Saw is currently out of production but we will be resuming productions soon.